The Purple Pomegranate, a fine craft specialty store, is featuring work by Kila photographer, John Ashley during the month of October.What is there to see in Glacier National Park after the sun goes down? As writer and photographer John Ashley reveals in his newest book, “Glacier National Park After Dark,” some of Glacier’s most awe-inspiring sights are found high above the mountains. Readers will marvel at Ashley’s spectacular photographs of favorite landmarks such as Chief Mountain and St. Mary Lake beneath the Milky Way, northern lights, comets and shooting stars, and a universe of wonders. 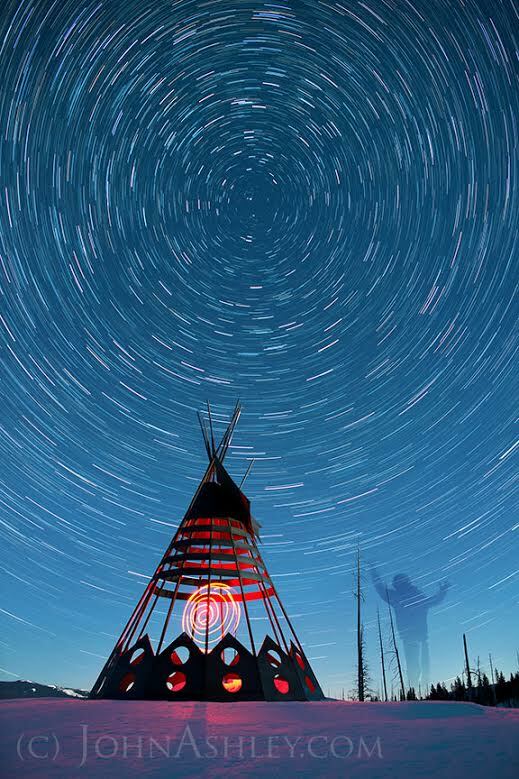 These images complement Ashley’s text, which includes clear explanations of astronomical phenomena, traditional Blackfoot stories, Glacier National Park geology and history, and entertaining tales of his own run-ins with curious critters and park rangers. Ashley rallies readers to combat light pollution, a problem that has begun to erode the ancient beauty of one of the last truly dark places in the country. 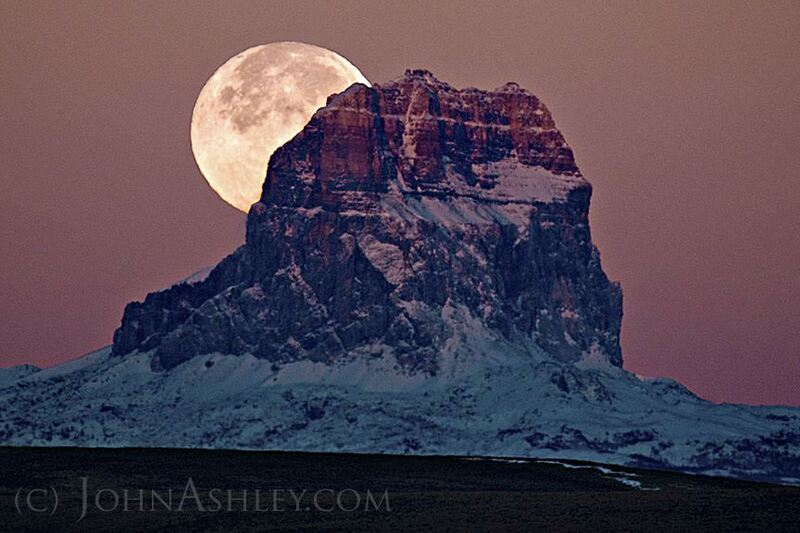 John Ashley is a Montana photographer, writer, biologist, and educator. As an award-winning journalist in Montana and Florida, John has photographed presidents and homeless people, Space Shuttle launches and airplane crashes, beauty queens and murder suspects. John also worked seasonally as a field biologist for the U.S. Fish & Wildlife Service and National Park Service. He has helped to conserve California condors, bald eagles, and harlequin ducks. The artist now lives at the end of a road near Kila, about an hour west of Glacier. He and his wife, Tracy, share a home that belongs to their two rescue dogs, Gracie and Magpie. 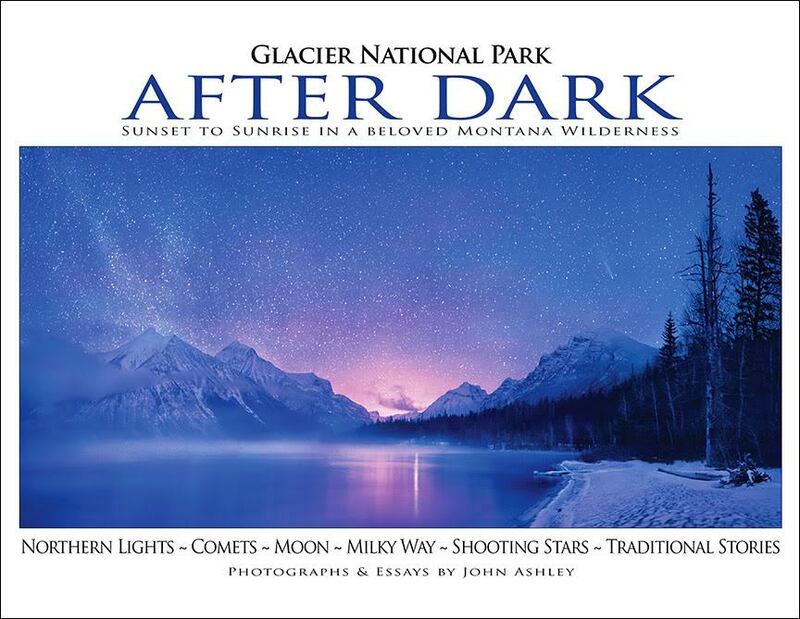 John Ashley will be signing copies of his newest book, “Glacier National Park After Dark” during Whitefish Gallery Night, Thursday, October 1st, 2015 from 6-9 PM. John’s work will be displayed during the opening and throughout the month of October.